To keep or to change my last name: This has become an ongoing issue for women in the modern world. When I got married back in 2012, I faced this dilemma. Thinking back on it, I don't know why it was such a big deal. I had no attachment to my last name. I didn't necessarily want to keep mine, but I also didn't really want to take his. Truthfully, I was just stubborn and unsure of what I wanted at the time. Gone were the days where you just took your husband's last name, and women everywhere were coming up with all sorts of stuff, making it more complicated for me to figure out what I wanted. In the end, I decided to take his last name. It was just easier and he was more important to me than a name. It's been three years and I have no regrets. If anything, I can't believe how ridiculous I was. Most last names are patriarchal. They are passed down from great-grandfather, to grandfather, to father, then to son. So I will never fully understand the feminist argument, since in the end you are basically fighting over whether or not to use your grandfather's or his grandfather's last name, and even if you had your mom's last name, that probably still belonged to a male sometime in the past. If you have a strong attachment to your family history. Some people consider their family ancestry very important and if you are proud or value your lineage, you might want to keep your last name. 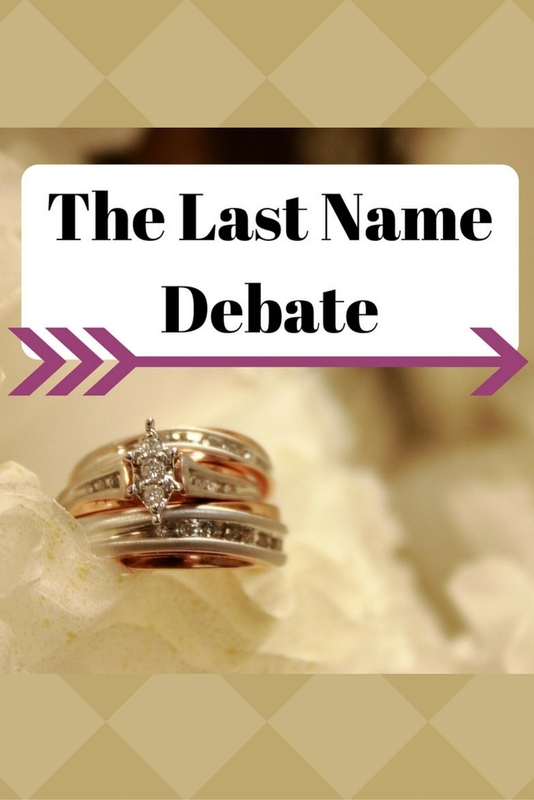 Your partner's last name is embarrassing or could lead to potential teasing when you have kids. I have heard and seen some pretty bad last names, like Poop. In this case, your partner might even want or be willing to take your last name. Your the last one to pass on the family name. This kind of ties in with number one. 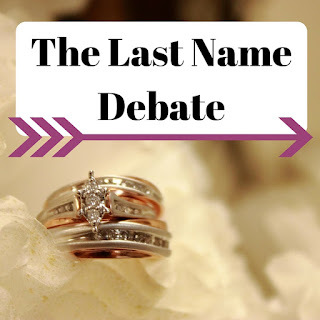 If you want to keep the patriarchy going, then you probably want to hold onto your last name, but you will also want to discuss naming your children as well since if you don't pass on your last name, the family name will end with you. You have a strong career/reputation, bills to pay, etc. You probably don't want to deal with the hassle of having to change your name on every single document. (This is why my husband didn't want to change his last name, plus he liked his last name). You love your last name (probably because of points one and three). I'm sure there are some other legit reasons out there, but these are the common ones I see and can totally understand. I didn't keep my last name because I didn't feel any of the above. To me it was just a name, it was not mine; it belonged to some really old man. I liked the idea of sharing a name with my husband and our future children, and since he wanted to keep his, it just made sense to take his last name. To me, it appears odd when the mother's last name is different from the rest of the family or vice versa. It just doesn't have that "family unit" feel, but that's just my opinion. I did have a moment where I thought it would be cool if we made our own last name by combining or last names, do some weird kind of mash-up, but that was too "out there" for my husband and thinking back on it, I kind of have to agree. However, I think this could become a trend in the future. 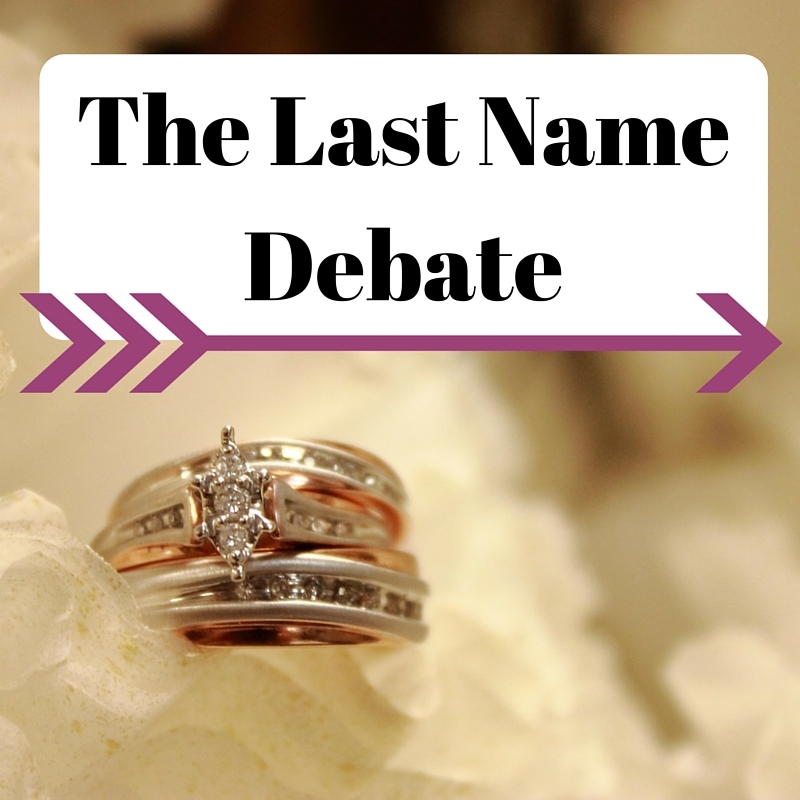 In the end, you do what is right for you and your partner, but make sure to decide early on just how important the last name issue is to you. If it is a deal breaker, maybe don't wait until he proposes to bring it up, but also don't bring it up on the first date. Attribution: Image used in blog post photo was found on MorgueFile. This post is really timely - thank you! I’ve been married for over a dozen years and took my husbands last name without a blink. But now that I am getting older, I am beginning to wonder if I should have thought deeper about it. The family name really feels like I simply adopted a name that has been passed on, rather than a meaningful name I resonate with. Maybe more prayers on this will help. Have you any suggestions? I think this something someone has to decide and come to terms with on their own. I've only been married 4 years and got used to having my husband's name after 1 year. Now that we have a daughter, I'm really glad I chose to change it as we all have the same last name. I guess I don't view it as his last name anymore, but as ours. My husband and I have been married for 3 years. I took his last name and moved mine to my middle name legally. I couldn't wait to change my last name! haha My mother changed my last name when I was a toddler from my father's name to my stepdad's last name and I never fit in with my step-dad's family. I had a bad taste in my mouth about that my entire life, so I always daydreamed of changing my last name to my husband's. On the flip-side, my sister changed her maiden name to be her middle name and took her husband's last name so that her dad's name would carry on in a way. I took my husbands last name without any doubt. I then built a brand for myself around that last name. Now that I am divorced, I had to decide how harmful it would have been to my brand to change my name back. I ended up keeping his last name as we do have a child together as well. I have begin to feel that it is just a name and has not meaning towards the ties I have to him. Society puts a lot of important into what last name we chose.